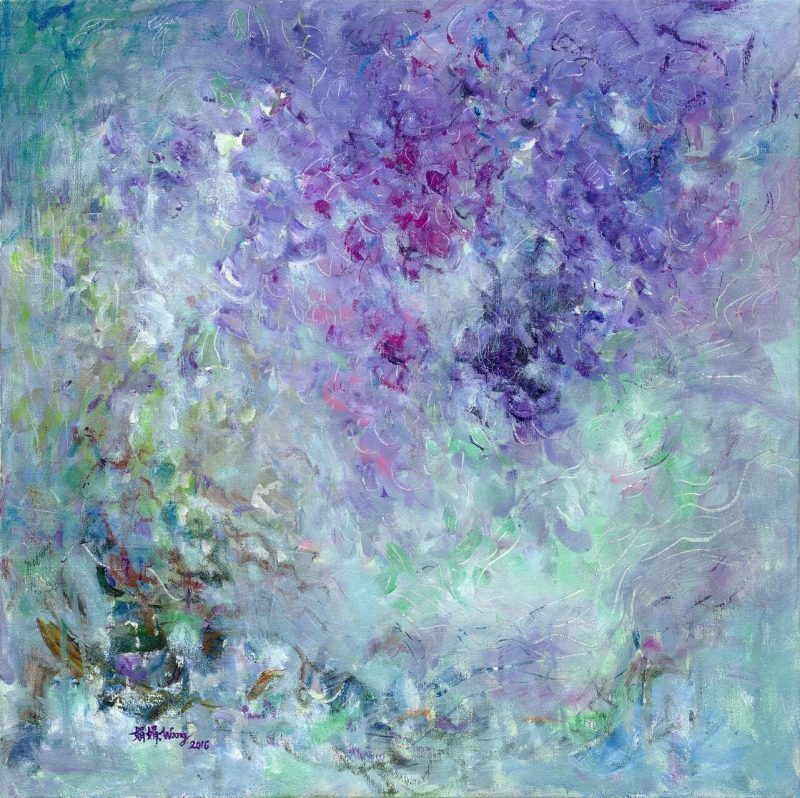 In this painting, I convey the inner interpretation of wisteria with colors of my soul. I used purple to represent the summon power of nature, and green symbolizes the breath of life, and bring musical rhythm into artistic conception. Traces left by the scraper are similar to “flying white” in Chinese calligraphy and rest symbols in music, they make people feel comfortable.